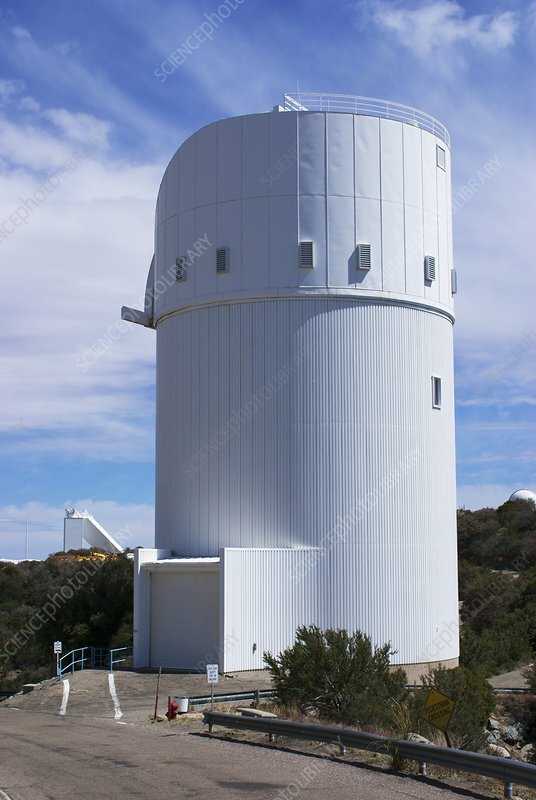 Bok 2.3m telescope dome, Kitt Peak National Observatory, Arizona. The reflecting telescope has a 2.3m-diameter primary mirror. McMath solar telescope is visible in the backgound.